PAT7 a pulp bleaching, enriched with Rice Oil and Cotton that make it particularly suitable for working on delicate scalp. 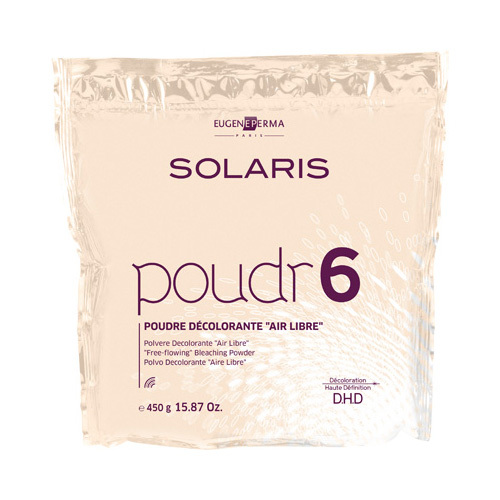 ; suitable for all techniques discoloration (m & eacute ; and that balayages) and especially to whole head. On sensitized hair leaves a pleasant sensation of softness. It is only used with the oxidant specific OXYD. way d use: mixing 1 + 1 and 1 + 3. Oxidant specific : OXYD30 (9 %) - OXYD40 (12 %). - Bottle of 450 gr. 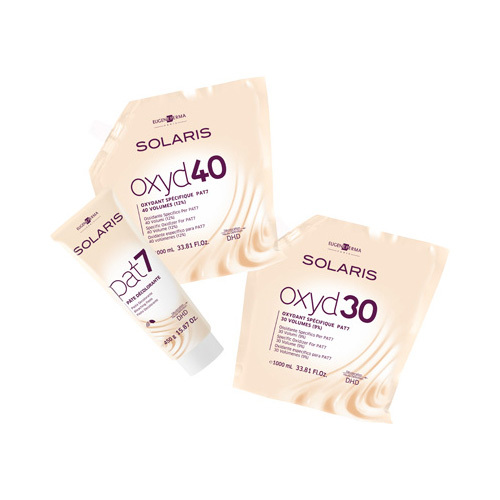 - OXYD30 and OXYD40 , envelopes from 1,000 ml.